A mini version of the famous Block Lamp! 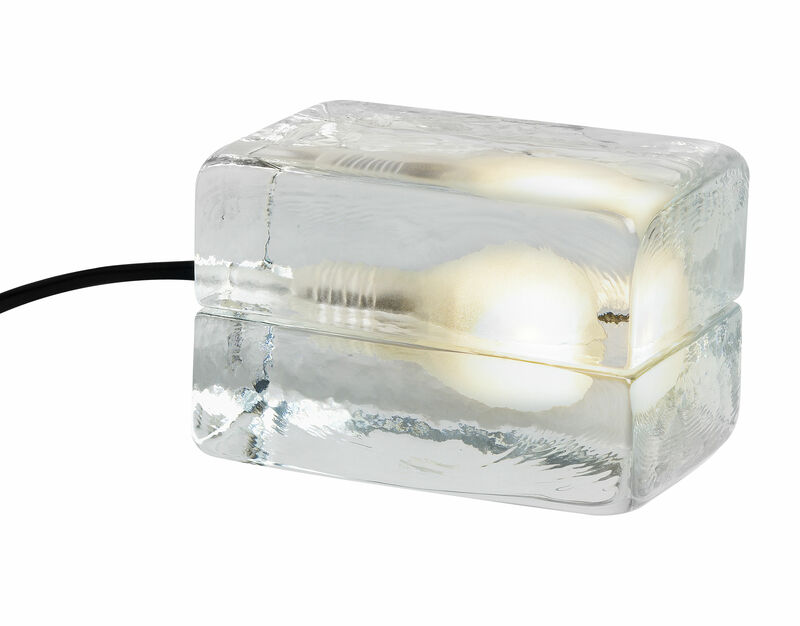 Presented in 1996, this glass lamp had an instant success and received numerous awards (Best New Product 99...). It’s a classic now that has found its place in the prestigious collection in MoMA New York. Its original look is a reflection of current Scandinavian design. Simplicity, purity, soft and cosy light... This glass ingot exploits the glass material in a poetic way. Block Lamp Mini spreads soft and subdued decorative mood light. You can simply put it on a shelf, bedside table or desk. Cord in black plastic.